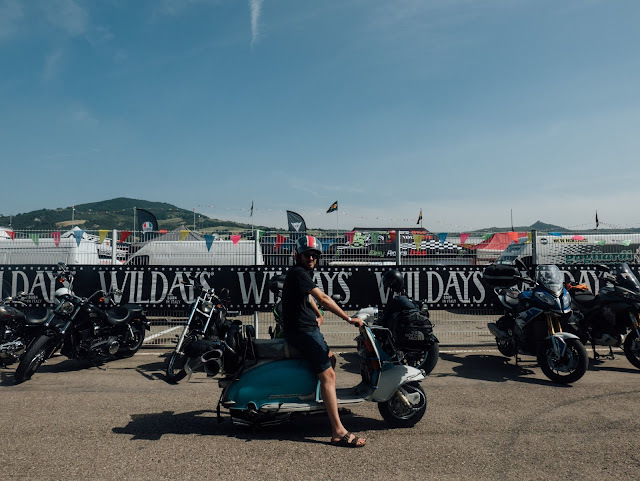 a few weeks ago, our lambretta, Marco and I had the chance to attend, along with hundreds of other motorbike & outdoor enthusiasts, to Wildays, a crazy festival at the racetrack of Varano de Melegari in Emilia Romagna where we spent 3 days surrounded by wilderness, vintage, gasoline, cool people, aperitivi and music. for a very long time I've been looking at the motorcycle scene as something very far and different from our taste, experience and expectations. two different worlds. probably since our road trip to Vietnam, where we rent a vintage Ural sidecar, I've been feeling differently, seeing a bigger and bigger common ground made of shared excitement and passion for being on the road on two wheels, no matter the size or the age. 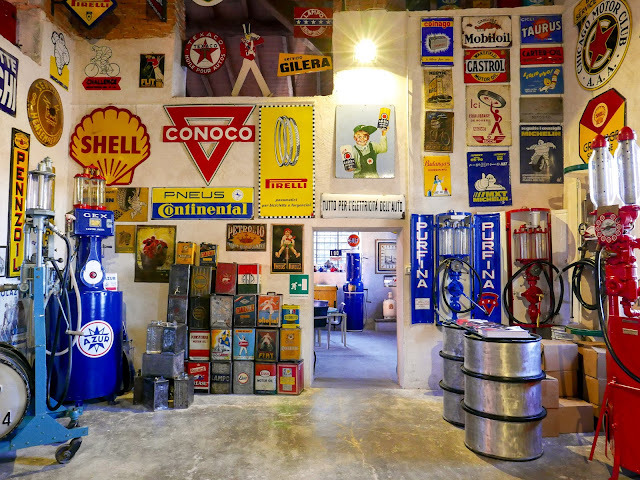 and, speaking of shared passions, this field trip gave us also the opportunity to fulfil a longstanding dream of Marco: a visit to the Ferrari's factory and museum in Maranello. busy days and weeks, and then suddenly, like a breath of fresh air, a couple of days just for ourselves: riding together under the spring rain, drying up under the warm golden light of the afternoon, exploring new roads, tasting new things, finding our temporary hideaway in the woods. as much as I can enjoy our daily life, jobs and routine at home, I love our lambretta weekends away. they kind of charge my batteries. 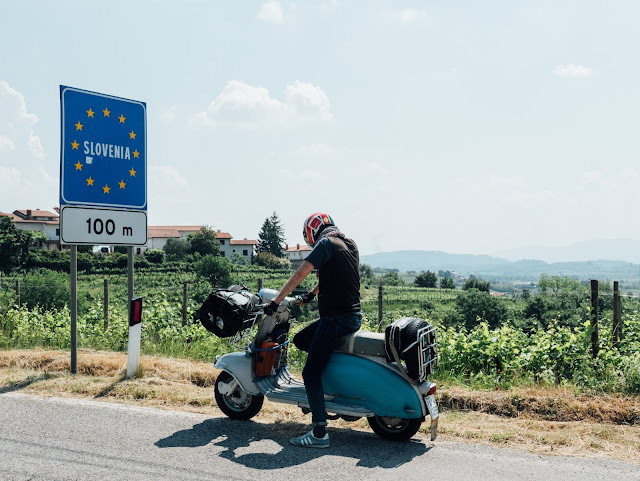 this time, we went a few kilometers east, to the famous wine region called Collio Goriziano in its italian part, and Brda when you cross the national border and enter to Slovenia. 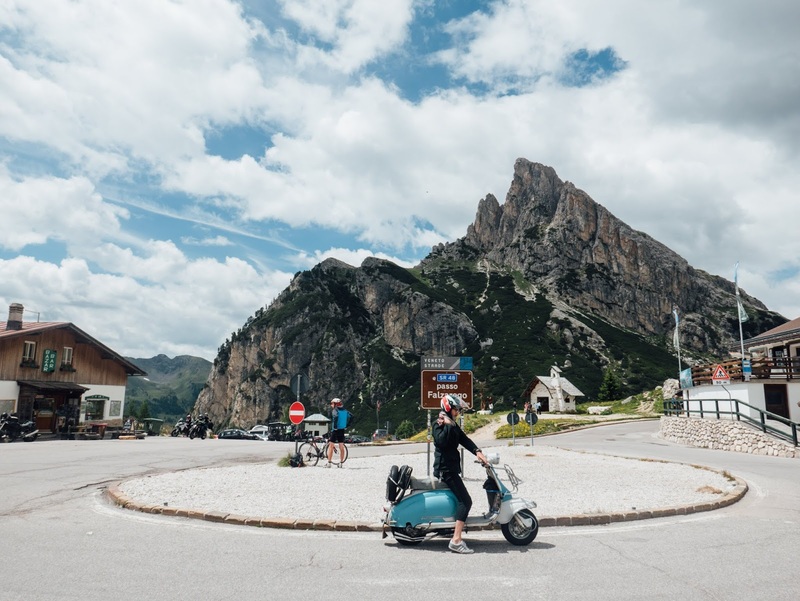 a few weeks ago, I was working on a post about riding a vintage scooter during winter, when the images of an incredible and snowy road trip started filling my social newsfeed. 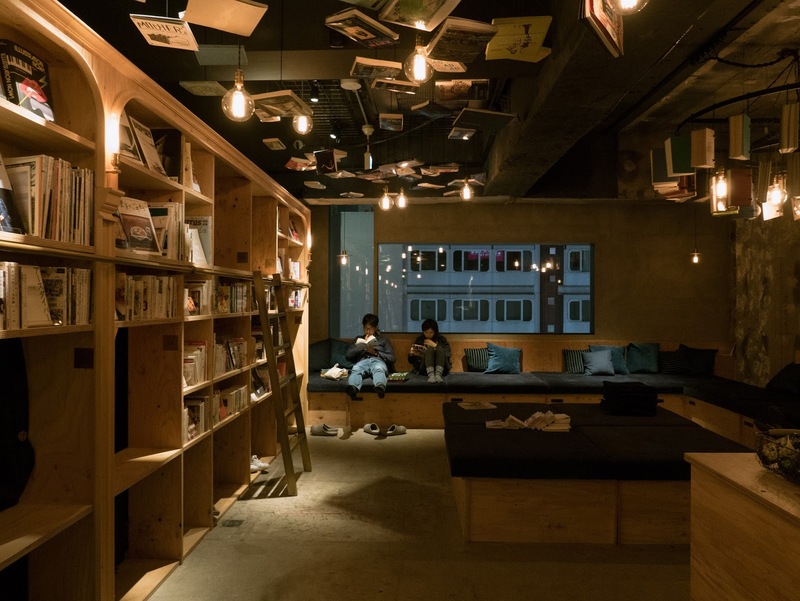 they were the amazing updates of Ryo Mochizuki's journey to Hokkaido, the northernmost region of Japan. 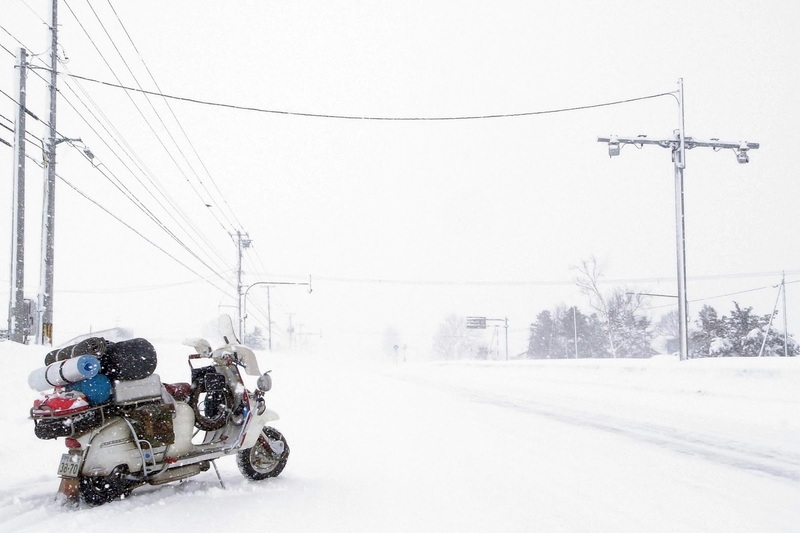 these pictures suddenly made me feel incredibly inadequate to talk about the subject, considering just my limited experience, so I've decided to ask someone who clearly knows a thing or two about riding a lambretta in wintertime, even in a snowy area: Ryo's himself. 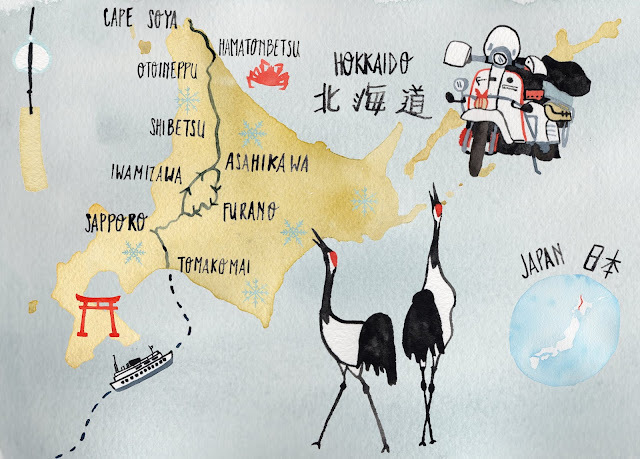 here's my interview to Ryo Mochizuki about riding during winter and his lambretta road trip to Hokkaido.